With this beautiful Italian coffee maker from Gat, you can have delicious full bodied coffee in just a matter of minutes. Designed with an ergonomic handle the Bella coffee maker fits beautifully into the users' hand. 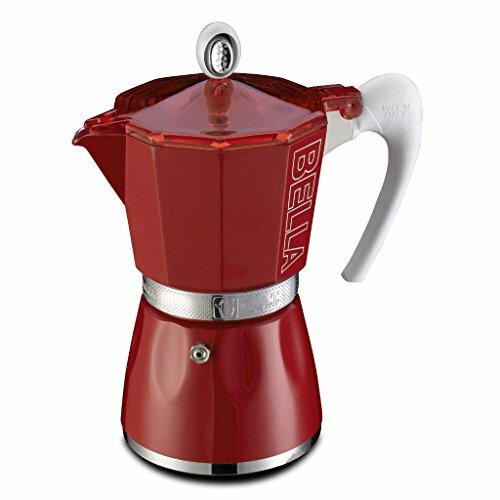 The coffee maker is easy to clean as it is made from colour coated aluminium. The coffee maker is suitable for all types of cookers, except for induction. Comes in red with a 6 cup capacity. If you have any questions about this product by GAT, contact us by completing and submitting the form below. If you are looking for a specif part number, please include it with your message.